To effectively operate in global business environment, multinational organizations use virtual teams extensively with members all over the world. Improvements in communication technologies have contributed to facilitating such communications among team members who come from different backgrounds. However, virtual teams face many challenges that must be successfully addressed in order to achieve success. 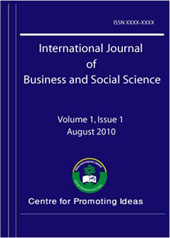 Thus, it is important for organizations to understand the factors contributing to success and challenges facing virtual teams.This study investigates the factors influencing the performance of virtual teams within United Arab Emirates (UAE) using the Input-Mediators-Output-Input (IMOI) model as a foundation framework. In-depth interviews were conducted with eight national virtual team members working at different multinational companies within the UAE. Results indicated that UAE nationals consider culture and training are key factors that lead to effective communication and yet better team performance and satisfaction.